You are not logged in. 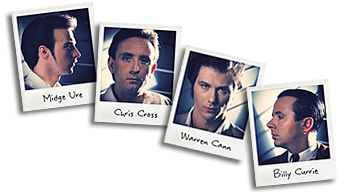 [Log In] Ultravox.org.uk » Forums » Socialising » Covers Competition - OPEN AGAIN! » Thank you for your entries! #100855 - Mon, 22 May 2017 10:46:14 Thank you for your entries! Thank you for your wonderful entries, everyone! I'll be sorting through them all and uploading them to the Media Archive this weekend. I'll post here when they're all up, so if you don't see yours there then, please contact me ASAP, either here or by email. Once they're up, I'll start the judging right away. Hi again, still can't find my song?